serve as role models for an entire new generation of everyday Airmen performing extraordinary deeds. Originally there were 250 available, there are now fewer than 100 for sale. You will be directed to Pay Pal where you can pay by credit card or using your Pay Pal account. Your cost is $24.99 + $7.95 for tax and USPS Priority shipping. For a special limited release of AT ALL COSTS to commemorate the 47th Anniversary of the Fall of Lima Site 85 please click here. For International Orders click here. 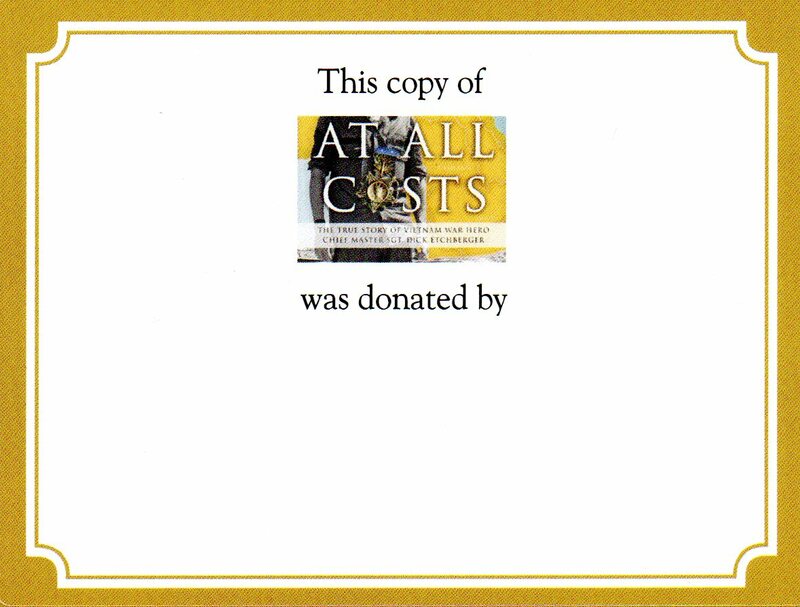 If you are thinking about purchasing a copy of AT ALL COSTS for yourself, why not also consider buying and donating a copy to a local library, school, Veterans Center, Vets Hospital, or Senior Center? This book is very readable and we will include a custom bookplate that indicates it was donated by you. 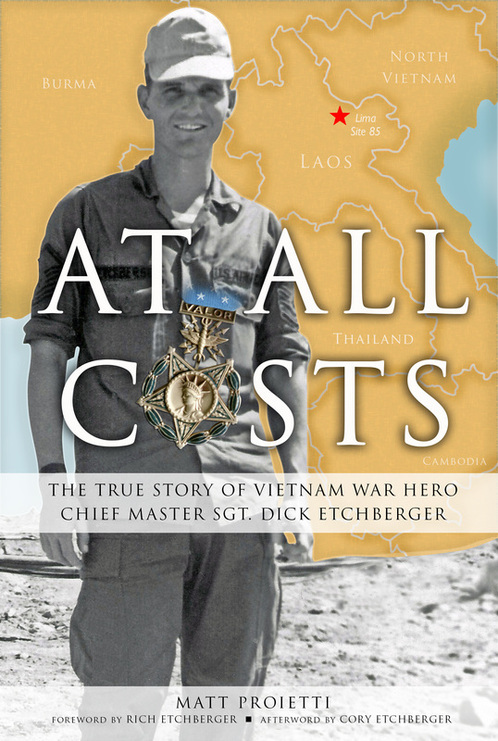 Proceeds of At All Costs go to the CMSgt Richard L. Etchberger Foundation.